I’ve been to Mukilteo twice now. Both times, I tried and failed to make time for a visit to the lighthouse. 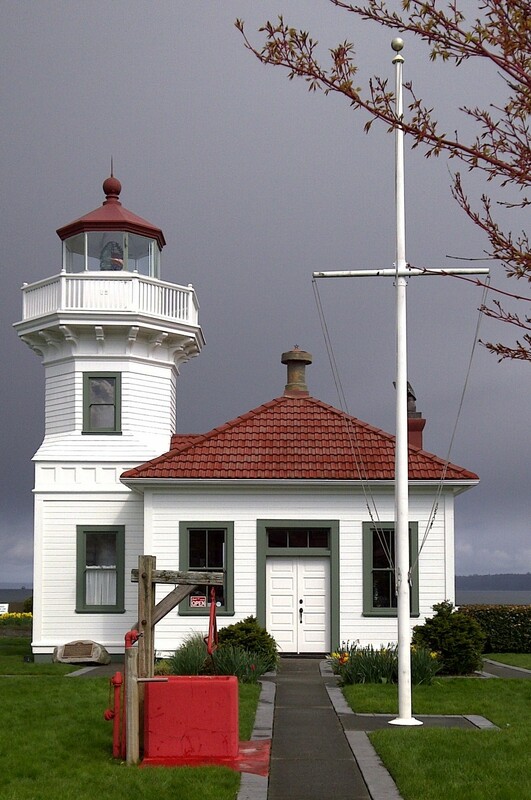 What interests me about the Mukilteo Lighthouse is not the lighthouse at all, despite its picturesque charm. I’m interested because that lighthouse sits atop a piece of land that is also known as Point Elliott, the site of the 1855 signing of the Point Elliott Treaty. Through that treaty, 82 First Nations leaders ceded the lands between Puget Sound and the Cascade Mountains that lie to the east, from south of where Seattle now sits all the way northwards to the Canadian border. In return, the USA promised ongoing hunting and fishing rights to the signatory tribes, and in some cases small reservations. Many feel that the treaty was imposed rather than fairly negotiated. Within a few decades, some key provisions were already being broken. I wanted to visit the Mukilteo Lighthouse to read the modest plaque commemorating the treaty, to reflect, to pray, and to mourn. During my first visit to Mukilteo, I didn’t even succeed in seeing the lighthouse. I had a nearby scuba class to get to, you see, and the class ran late. The second time I visited Mukilteo, on a recent Sunday morning, I arrived too early. The fenced-in lighthouse site was open only from noon to 5, and I had arrived at 11 o’clock. I couldn’t wait around until noon, because I was on my way to a church meeting, and besides that I really needed to find a washroom! All I managed to do was photograph the lighthouse from outside the fence. The window sign proclaimed “We’re Open,” but in fact the whole area was closed up tight. From time to time, significant reconciling events take place at this lighthouse. In August 2010, over 200 descendents of the treaty signers gathered at the lighthouse for an event called ‘Return to Muckl-te-oh.’ The descendents of prominent white pioneers stepped forward to apologize for the injustices of the recent past. This effort appears to be a very admirable step in the right direction. But aside from the handful of people involved in such reconciling events . . . where are the rest of us? What keeps me from getting to the Mukilteo Lighthouse when it is open? And what prevents thousands who drive past every day, en route to the Whidbey Island ferry, from stopping to ponder the treaty? Is it our American addition to busy-ness? Or our human tendency to avoid uncomfortable truths? Whatever the reason, I fear that bypassing Mukilteo, and places like it, perpetuates a gaping collective wound. Will we ever heal what ails us if we can’t find time for the significance of Mukilteo? For the text of the Point Elliott Treaty, check out HistoryLink.org.